Another still life today. Our weather continues to be hot and humid so I’m working inside to preserve my health and sanity! I have lots of great Summer subjects to paint. Here are two welcome signs of warm weather – hydrangea and peaches. This painting is an 11×14 oil on panel and was painted alla prima today. 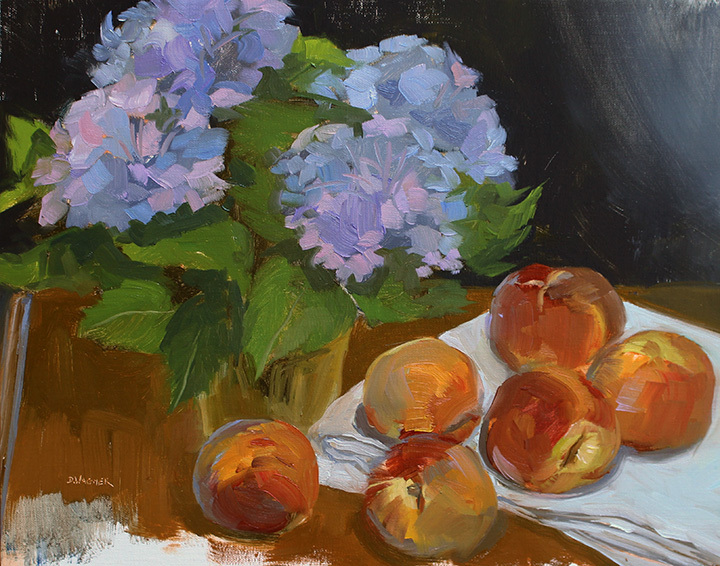 This entry was posted in Uncategorized and tagged floral, fruit, hydrangea, lilac, orange, peach, purple, still life, table. Bookmark the permalink.